Travel through time and space with this officially licensed Doctor Who plush! 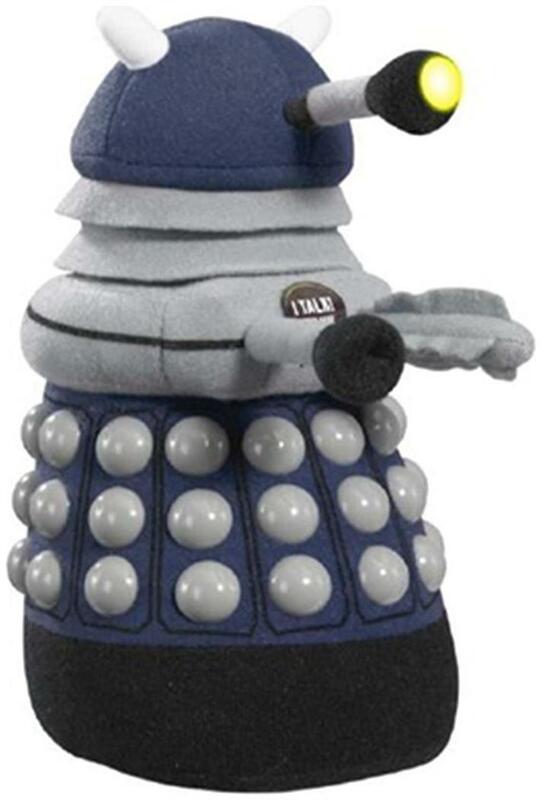 This 9 inch tall plush depicts an evil Dalek (in dark blue). Spoken phrases include 'Exterminate, Exterminate' and 'You would make a good Dalek.' Better yet, this cool Dalek plush has light-up features! Requires 3 x AG13/LR44 button cell batteries, included. Travel through time and space with this officially licensed Doctor Who plush! Plush stands 9 inches tall. Better yet, this cool Dalek plush has light-up features! Requires 3 x AG13/LR44 button cell batteries, included.